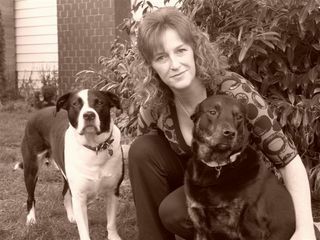 Tracey is dedicated to enhancing the relationship between people and their companion dogs through the use of non-abusive, humane training methods. Her desire to learn more about dogs began in 1985, when she volunteered at the Vancouver SPCA working closely with shelter dogs and veterinary staff. Tracey shares her life with her husband, their new baby girl and Bella, a Shepard Cross.